Earlier this August, the Palo Alto City Council closed down the use of the Cubberly Community Center as a “de facto homeless shelter.” Based on this article, Cubberly might have been the shelter for the homeless in Palo Alto; other providers in Palo Alto might have provided some services to the homeless, such as food, clothing, or counseling, but not necessarily shelters with on-site case managers. Now, nonprofits in the Palo Alto area are meeting to figure out how “to target the most violent and disruptive homeless dwellers” who had been residing at Cubberly. The InnVision Shelter Network’s proposed “HOT program” (Homeless Outreach Team) to “target…the most disruptive homeless individuals (as identified by police), is already in place in San Mateo, Redwood City, and East Palo Alto,” but according to InnVision’s Mila Zelkha, the HOT idea is “off the table” at the moment for Palo Alto proper. One of the issues facing the nonprofit providers is simply money. The City Council has allocated $150,000 for programs to aid the homeless, but that doesn’t go very far and couldn’t be all devoted to the HOT program which, because it “focuses primarily on the most ‘difficult to serve’ individuals…[might] make it harder for homeless people who are not disruptive to get aid.” In addition, Zelkha says that other HOTs “have had a minimum of two years of funding” to start, which Palo Alto isn’t offering. As an alternative to HOT, the nonprofits are looking to “strengthen existing programs and promote more coordination between them,” such as the Hotel de Zink, a program which gets religious facilities to open up as shelters for the homeless on a rotating basis (the beds, however, total only 15). Another option is to get the homeless shelter sponsored by WeHOPE in East Palo Alto to expand its facilities to accommodate displaced Cubberly residents. The council charged the nonprofits with coming up with a plan for homeless assistance in the wake of the Cubberly closing. How constrained is Palo Alto in its ability to provide housing to its homeless population? 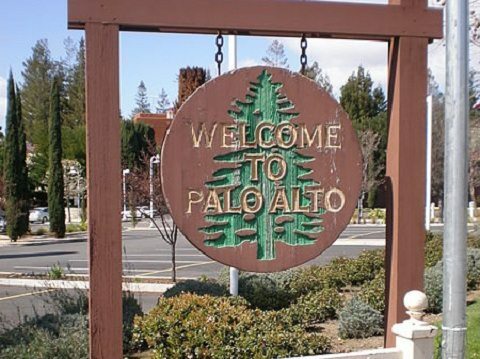 In truth, Palo Alto is a reasonably wealthy community, as shown by statistics from the U.S. Census. Almost four out of five adults have college degrees or higher, compared to only 30 percent statewide. The median value of an owner-occupied house was over $1 million only a couple of years ago. Per capita income in Palo Alto (2011) was $72,199, compared to $29,634 statewide; median household income is $122,532, twice the level for the entire state.